Beautiful. Memorable. Call To Action. Even among followers of Christ, division is one of the greatest limiting factors to the mission of the Church. God’s great story of reconciliation has been crippled because the messengers of that story are unreconciled. But God designed us for so much more. More efficiency. More finesse. More impact. We need a way forward to work with those with different views without compromising on our own beliefs. Thankfully, God has hidden incredible lessons in nature to help solve complex human problems. DESIGNED FOR MORE draws ground breaking implications for how to achieve unity and collective movement from new research on a jaw-dropping phenomenon of flocking starlings known as a murmuration. This marvel is one of nature’s most spectacular sights; imagine hundreds of thousands of birds in motion, caressing the sky like a brush on a canvas. It is a beautiful madness in the sky. 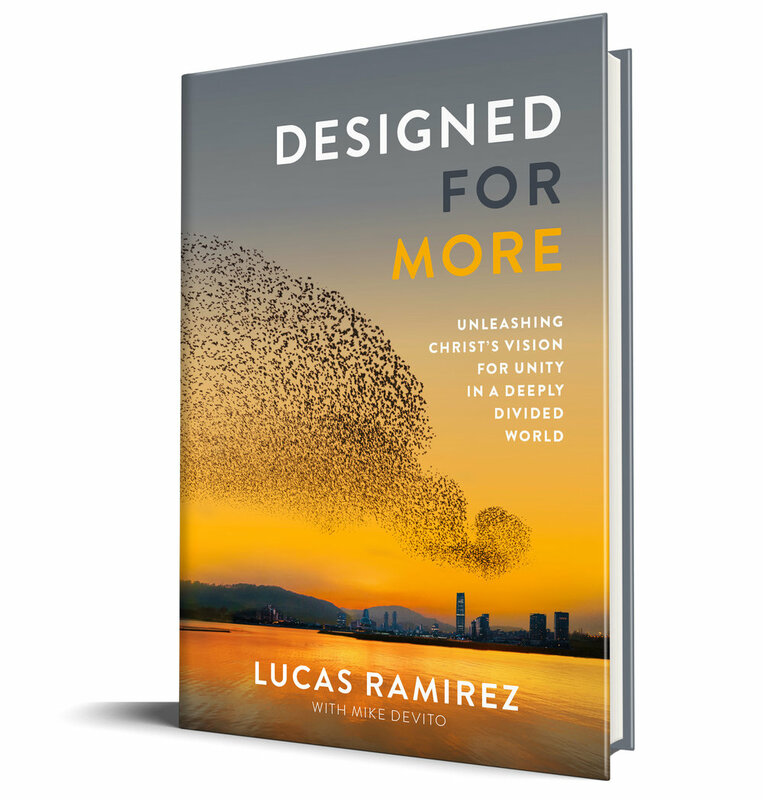 Join authors Lucas Ramirez and Mike DeVito as they unveil the power of the murmuration principles in order to inspire individual spiritual journeys and the Church as a whole. You will marvel in the sheer beauty of God’s design and catch a fresh vision for what unity in the Church can look like. Get your copy today!